Saturday 10 AM join us for an information meeting. (Click on picture to enlarge.) 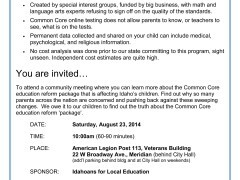 Then don’t forget the Opt out webinar by Kathleen Jasper of Conversationed.com. Sunday August 24th, 2pm MDT. Register here to learn more about opting out. Get informed, get empowered and BOYCOTT the test. The beginning of this video is very humorous until you realize they’re talking about our children’s education. New York is the canary in the mine, and it’s not doing well. 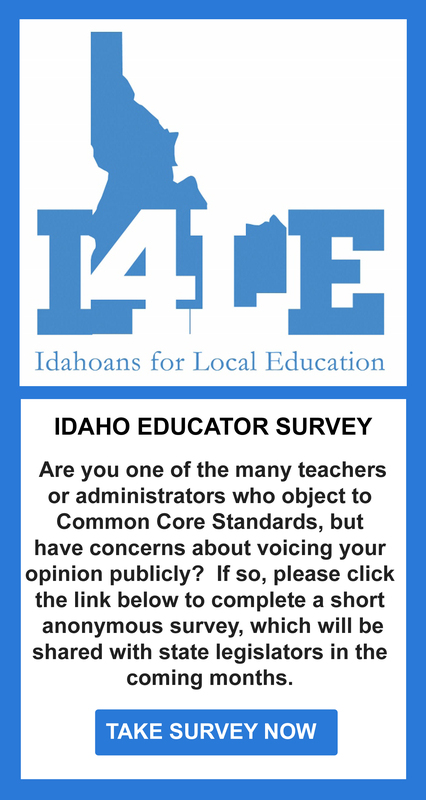 Idaho, shouldn’t we be learning from the experiences of other states who are further ahead in implementing Common Core?